Anybody can make a set of commands and share them. As examples we have some additional command sets available on the 'Downloads' page of this site. 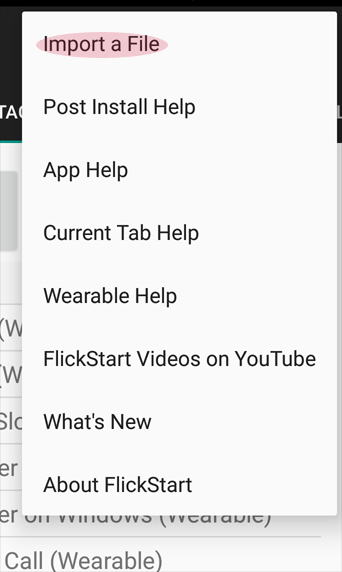 There are command sets there for more apps which you may already be using or might want to download so you can drive them from FlickStart. In addition, there are master copies of command sets that ship with FlickStart (in case you need to restore the originals). Import files for FlickStart have names that end in either '.xml' or '.zip'. When you select the menu entry, a file chooser panel will appear. 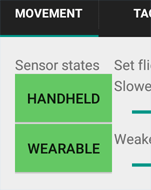 The panel will initially display the contents of the 'Download' folder on your SD card, but you will be able to navigate to another folder if the file you need to import is elsewhere. Tap on the file you want to import and then tap the 'Select' button to do the import. You should only import commands from trusted sources. Commands can do things like initiate calls, answer calls, hang-up calls, take photos and start apps which have been installed on your phone. 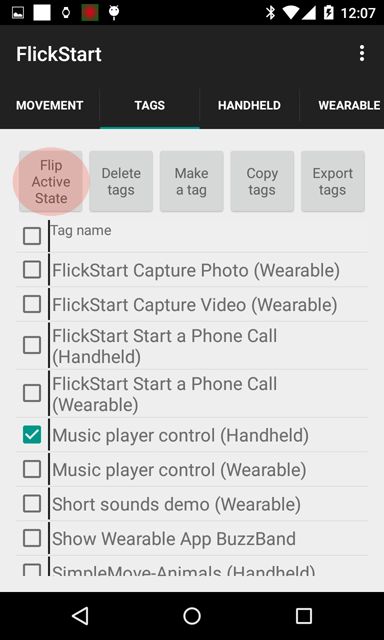 As another level of safety, imported tags are not automatically made active. 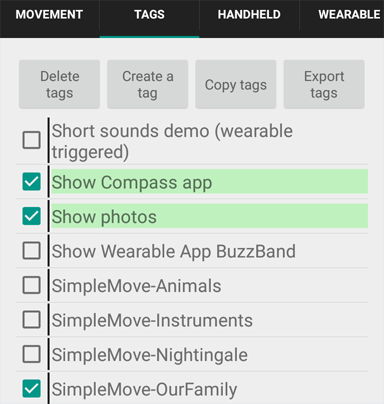 You have a chance to inspect the commands in imported tags before you make them active. 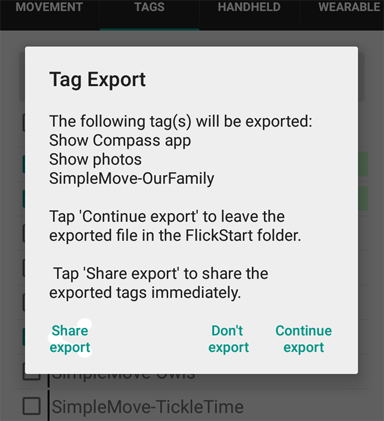 When you tap the 'Export tags' button FlickStart builds an export file and puts it in the FlickStart folder or provides an option to share the file with other apps so you can email it straight away. The name of the export file will start with the name of the first tag being exported.